At Greg W. Dworzanowski, P.A. we take pride in our extensive hands-on experience with commercial real estate developments. We understand the intrinsic risks and rewards of the development business. Providing creative deal-saving solutions to potentially deal-breaking problems is a cornerstone of our practice. Unique business insight coupled with legal acumen make Greg W. Dworzanowski, P.A. the perfect choice for our clients. Formed in January, 2009 our firm’s practice lends itself to entrepreneurial real estate investors, developers, landlords and tenants looking for hands on, high level partner participation in all aspects of commercial real estate transactions for a reasonable fee. By focusing almost exclusively on commercial real estate transactions, our firm has the in-depth knowledge and experience needed to handle all facets of the transactional real estate needs of our clients throughout Florida. As a former partner in a large real estate development company, the firm’s principal, Greg Dworzanowski, has a practical perspective of the needs of our firm’s clients. From initial contracting through final disposition, our firm works in concert with our clients efficiently and effectively. The land is good. Be not hesitant to go, and to enter to possess the land. God, please just give us one more real estate boom. At Greg W. Dworzanowski, P.A. we take pride in our extensive hands-on experience with commercial developments. We understand the intrinsic risks and rewards of the development business. Providing creative deal-saving solutions to potentially deal-breaking problems is a cornerstone of the practice. Unique business insight coupled with legal acumen make Greg W. Dworzanowski, P.A. the perfect choice for our developer clients. Greg Dworzanowski, Esq. graduated from Duke University with honors in 1992, and earned his J.D. from the University of Michigan Law School with honors in 1995. Greg has over 18 years of transactional law and business experience. After law school, Greg joined the firm of Annis, Mitchell, Cockey, Edwards and Roehn, P.A. in Tampa where he focused on commercial real estate transactions, including golf course, resort and condominium development and finance. Greg is also a former principal of RMC Property Group, which is one of Florida’s leading privately held full service real estate companies with a portfolio of over seven million square feet of mixed-use and commercial retail shopping centers. While at RMC, Greg gained invaluable business experience which he is able to draw upon when advising his clients. Greg is the former general counsel of RMC and continues to serve as outside counsel to RMC. 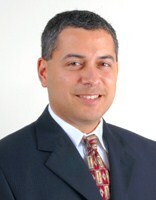 Greg has extensive experience in multiple areas of complex real estate and transactional law. He represents his clients in all aspects of commercial real estate transactions, including acquistions, sales, development, leasing and management. Over 85 Walgreens Drug Store developments. up development of Publix Anchored Shopping Centers and full service property leasing and management. Vice President and General Counsel of real estate development company focused on ground up real estate development of free standing single tenant properties (Merged into RMC Property Group in 2002). acquisitions and dispositions, leasing and development and real property and asset based loan transactions for institutional lenders. Special focus on golf course, resort and condominium development and finance.